For all of my letters, I started by tracing them face down onto the backside of the papers I wanted to use. I then fussy cut them out and stitched around the borders of them before adhering them to the wood piece with liquid adhesive. I wanted to have each letter be embellished in a unique way, but have them come together in one cohesive project. 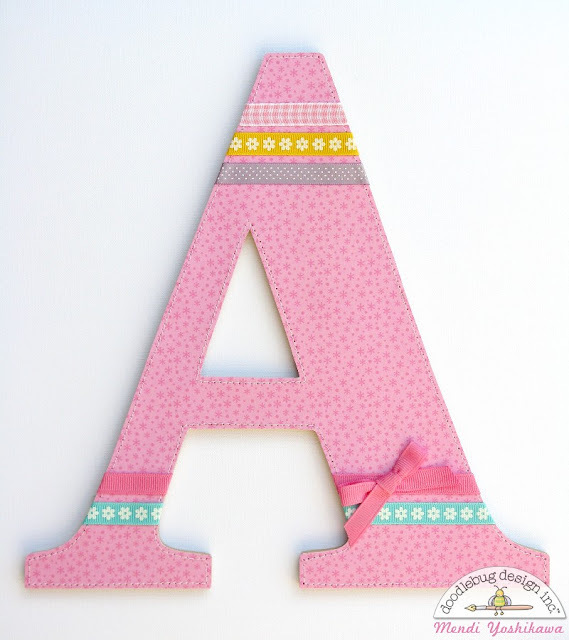 For the letter "A" I pulled out bits of ribbon from my stash and wrapped the pieces around to the back of my paper cutout before adhering them to the wood. 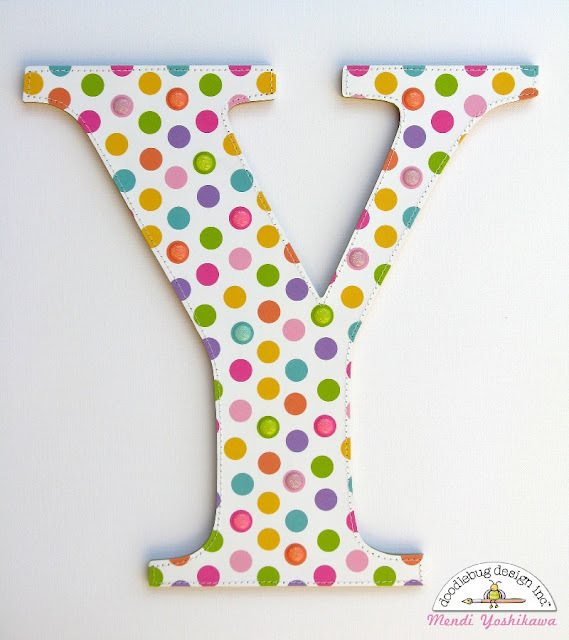 Three simple, yet completely adorable flower buttons dress up my letter "Y". For my "L" I die-cut 4 diamonds from my favorite petite prints and stitched around them before adhering them to my piece to form an argyle print. 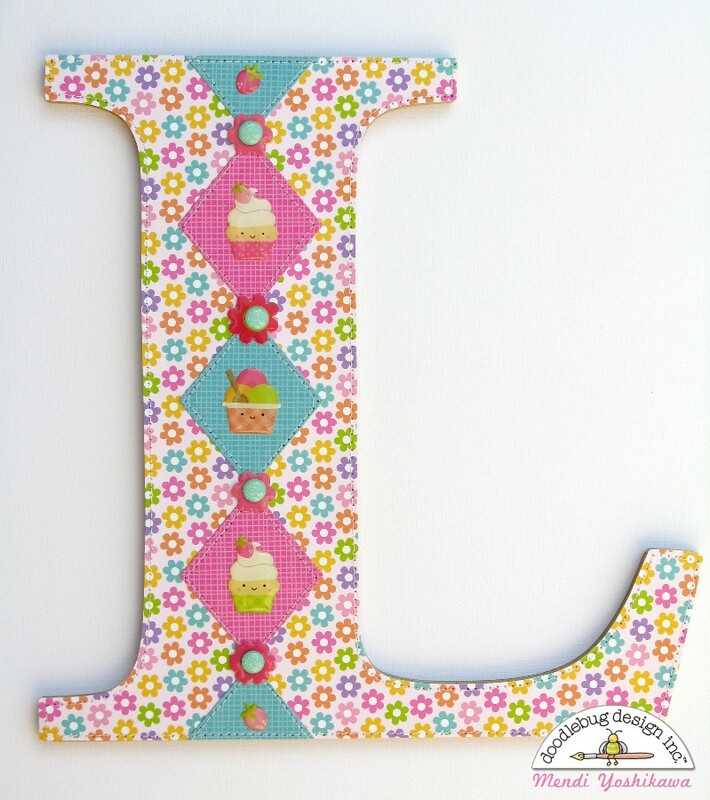 I then used some of the adorable sprinkles from the collection to embellish them. 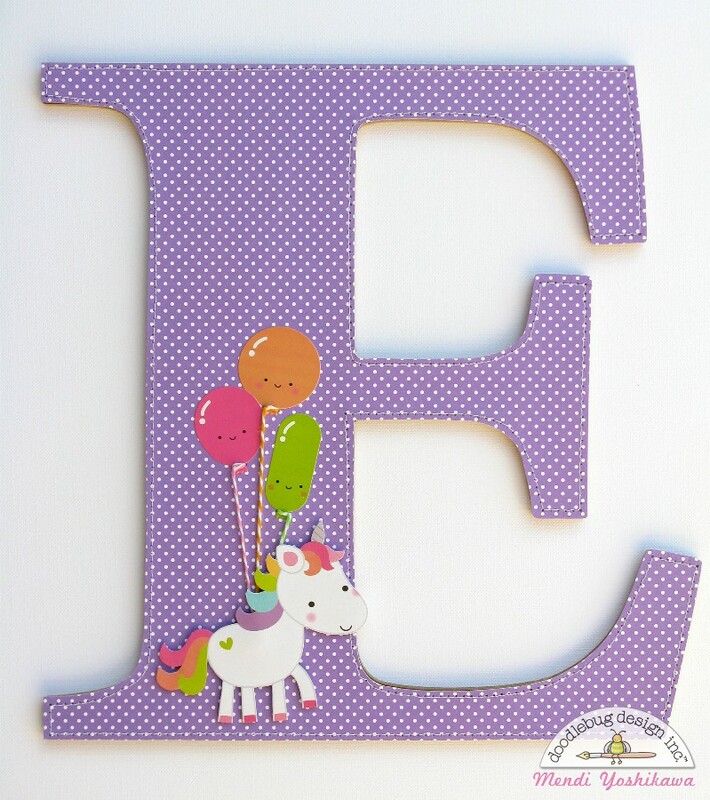 For my letter "E" I used a swiss dot print with some of the darling icon sticker balloons and the unicorn from the odds & ends pack. 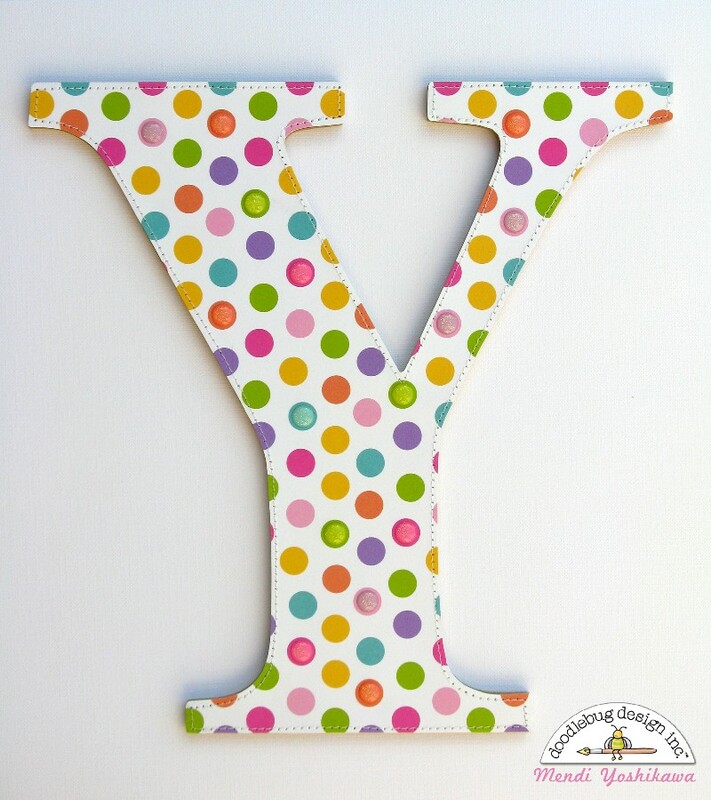 Before adhering the letter to the wood, I poked holes on either side of the balloons and stitched around them using an embroidery needle to give the appearance the baker twine strings are tied on. I kept my last letter fairly simple since the print had a lot going on visually. 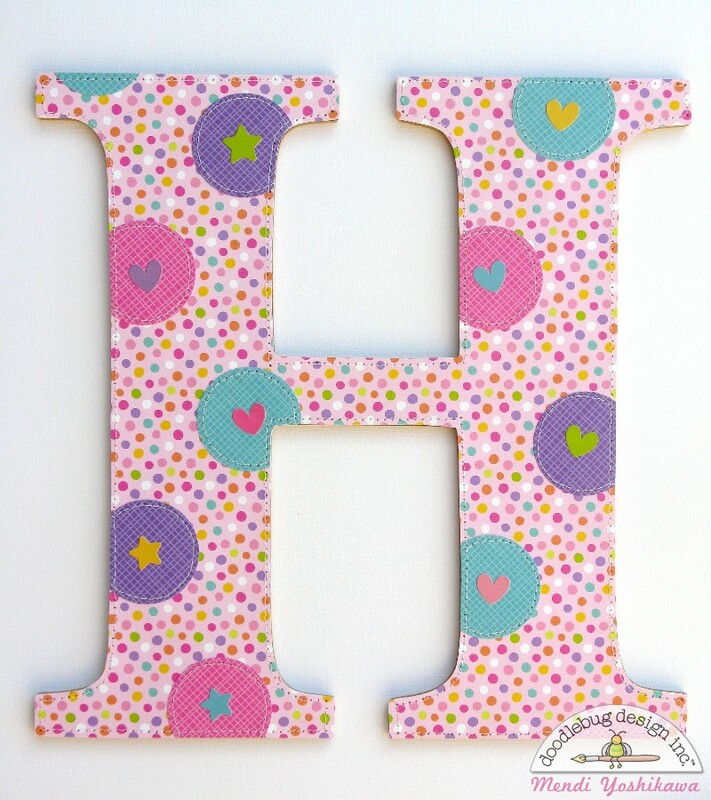 I added some random glitter sprinkles from the collection to give the polka-dots extra interest. I love the way they look! This collection makes this 80's girl with her rainbow heart skip a beat! I hope I've inspired you to use some of your favorite Doodlebug papers for a home decor project too! These are fabulous Mendi! Love the stitched details! This is just adorable .... I love how they turned out. 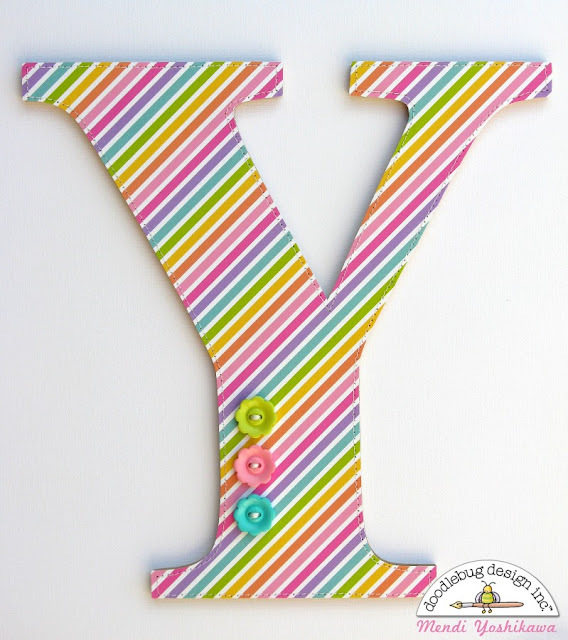 I have always wanted to do this for my kids room too .. maybe I will start ..thank you for the inspiration!